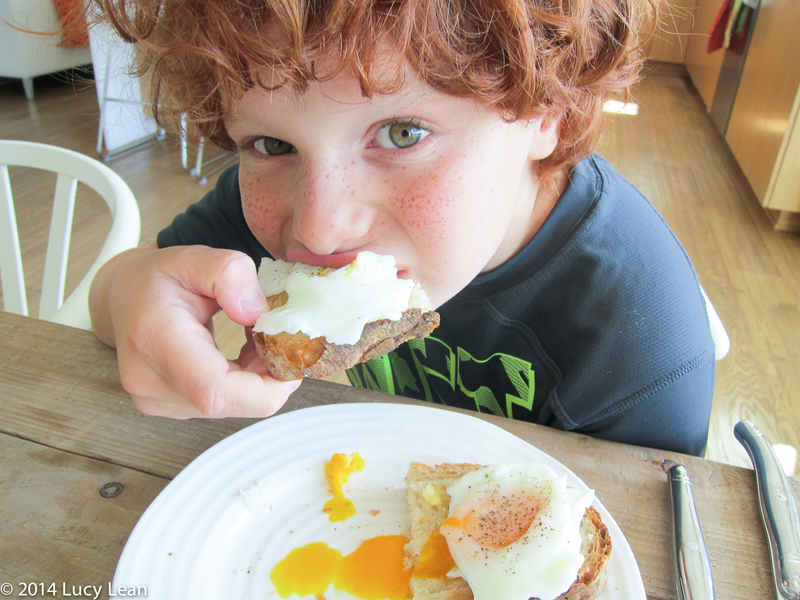 This morning I was reading in bed, waking up slowly, when Rémy came and asked me to show him how poach eggs for his breakfast. We have poached eggs before on Ladles and Jellyspoons for my favorite breakfast treat – with micro greens and smoked salmon – that Gaby Dalkin used in her lovely avocado book. 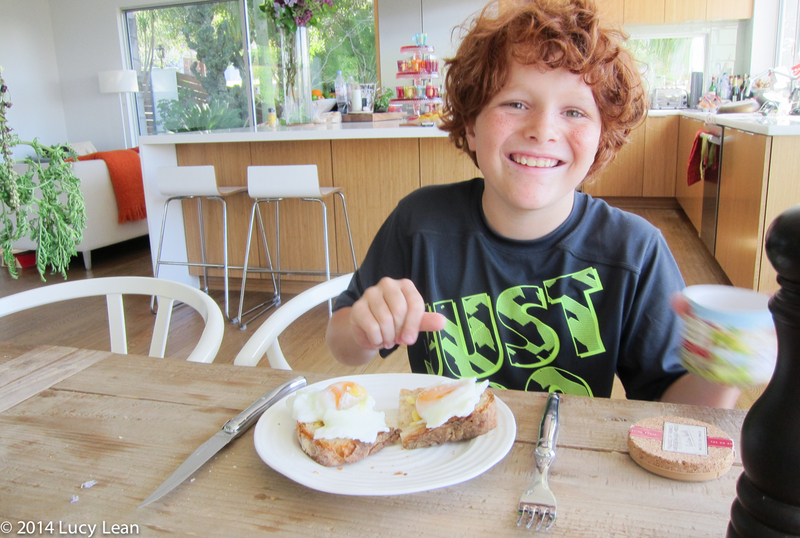 But today it was straightforward poached eggs on buttered toast for Rémy – quick easy and about time the boy learned how to poach himself an egg or two for breakfast (more reading time for me!). In a large non-stick pan bring about 2 – 3 inches of water to a soft boil. Gently slide this into the water. 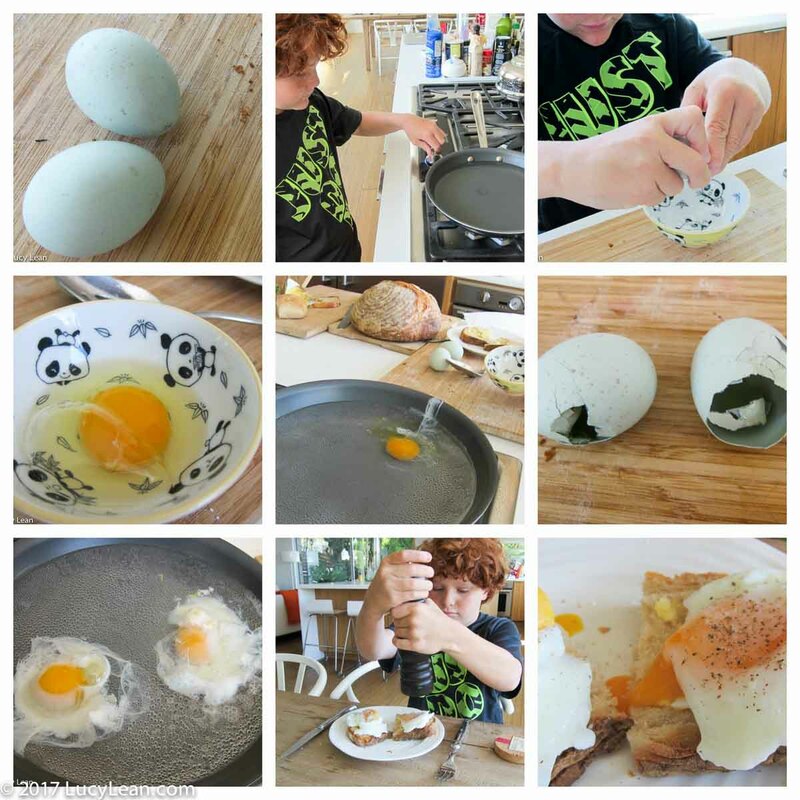 Crack the second egg into the bowl and slide into the water on the opposite side of the pan. Poach for about 3 minutes, until the top of the yolk is turning white. 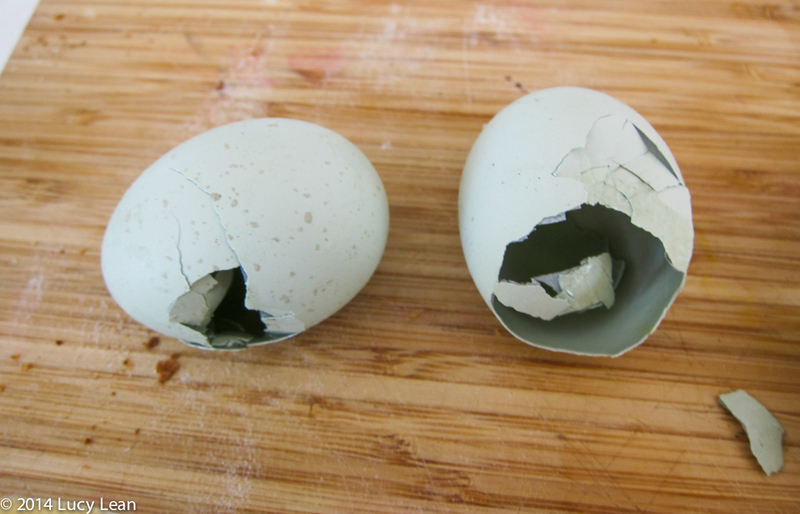 Remove eggs with a slated spoon and blot very gently on kitchen towel to remove any excess water. Trim off any loose pieces of egg white. 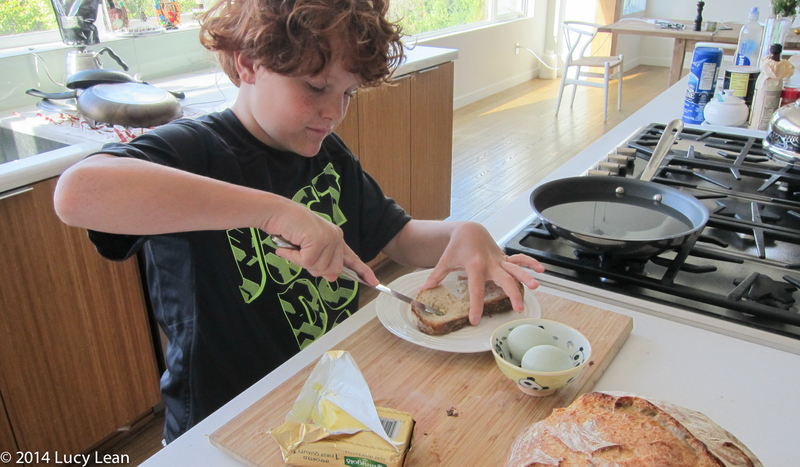 Place the eggs on top of the buttered toast.